I live in a apartmet complex, & told my landlord my stool seat was cracked. He didn't do anything about it. So I put this cover on, now I don't have to worry about getting "pinched" when I sit down. Easy & cheap fix!!! Break the Shock of Cold at Night! This worked instantly . It softened and warmed the toilet seat before we even sat on it. To Break the Shock of Cold at Night! Actually it was a gift to me and my husband. We are handicapped and live in a cold climate. You can only imagine how much this cozy toilet cover helped our lives. Wish I had invented this. I love them.. This is a very warm cover, for such a cold item. My friend needed it because she gets cold. Needed one and these are VERY hard to find. The way the seat is made the inside rim sort of cuts into my skin. I do not need this one and need to return this it. my dad slipped off the toilet seat and hurt his back. i bought this for texture. 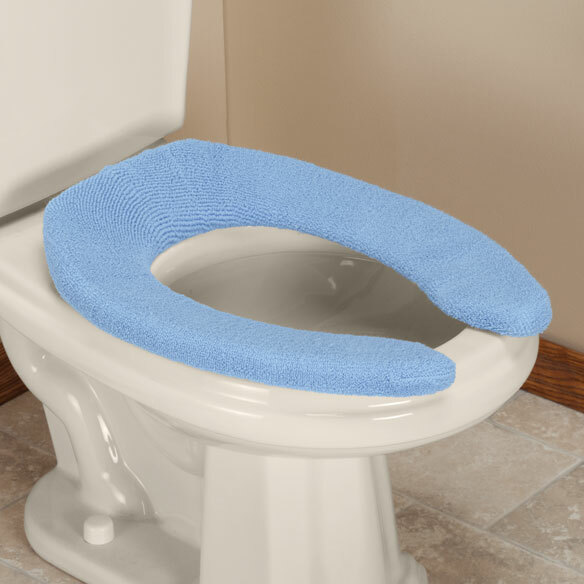 purchase a new toilet, and wanted a seat cover for the elongated toilet with great colors. only place you can get them. Fits my toilet seat very well. Elderly parent needs for sitting comfort. I chose this because it looks very comfortable; lots of people don't think about that when making toilet accessories. Glad this comes in the elongated size as well. Very hard to find accessories for these new toilets. Thank you, Easy Comforts for carrying them. That seat is cold in the am. Do you have long gated seat cover with out the open front? BEST ANSWER: Thank you for your question. We do not offer elongated closed front seat covers at this time. We hope this information will be of help to you. BEST ANSWER: Thank you for your question. At this time we do not have a toilet lid cover for an elongated toilet. We apologize for any inconvenience. Need for raised toilet seat with handles post-hip surgery. Do you make one to suit this kind of toilet seat? BEST ANSWER: Thank you for your question. 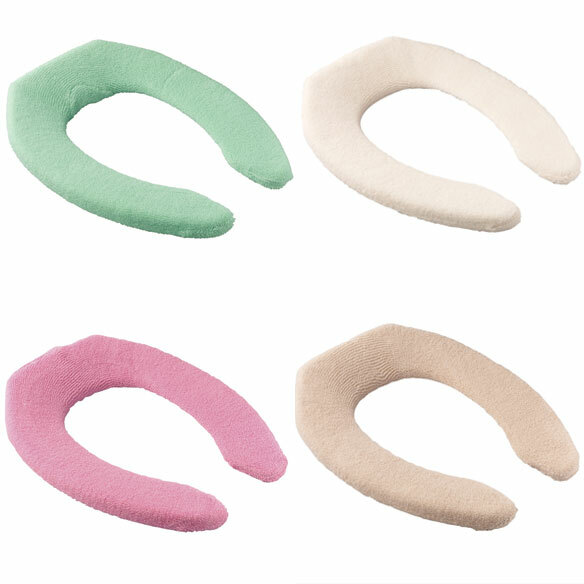 We would recommend searching for raised toilet seats. We hope this information will be of help to you.